There are close to 2 million persons of Hungarian descent in the US who are an untapped resource. Many of us are interested in the country of our ancestry and would like to give something back to Hungary. 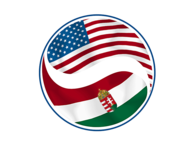 The Amerikaiak a Magyarokért Alapítvány (Americans for Hungarians Foundation-non profit) and its Amerikai-Magyar Klub was started to bring together the best resources of America and Hungary to improve relations between our two countries and to contribute to Hungary's economic revival. Through networking, partnering, investments,cultural and knowledge exchange we will build a bridge between America and Hungary that will benefit both countries. The Alapítvány (Foundation) and "Klub" was started in memory of an American citizen, Dr. Elemer Balogh, recipient of the 2005 Pro Ecclesia Hungariae award for service to the Hungarian nation and its churches.